Gaming is one of the best and exciting ways to pass time for almost everyone, and online games are even better. Depending on one’s interests, the type of games that different people prefer will defer. 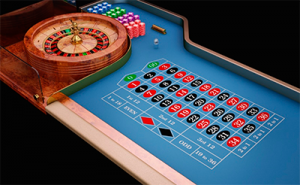 With the latest advancements in technology, there are so many options when it comes to online gaming. There are three main divisions of online gaming which are: video games, betting games and virtual reality games. Video games are a type of online game which is very common among people. They include games that you can download or buy and then play online. Video games come in a wide range, from fighting games to sports matches, racing games, shooting games, and even development games. They can be single or multiple player, depending on preferences and the types of games. Another category is betting or gambling games. These are games that involve making monetary bets based on chance and previous statistics. They range from casino games such as blackjack to sports betting, and even lottery games. These games are very popular because they promote the chance of actually making money from just playing a game. This type of game is only single player, but there is the option of joining finances to make one big bet to increase the amount of winnings and increase chances of winning. The last category of online games is virtual reality games. This is a more recent type of game that involves mimicking the world and effects of the game through sound and graphics. Usually, the player dons a pair of headphones, special technical glasses that display the virtual graphics, and gloves which help with displaying movement. These games can be categorized into different forms such as racing games, fighting games, and even shooting games. These games can be both single and multiple playe,r depending on the gamer’s preferences.